38,1 x 35 cm - 15 x 13 3/4 in. Ambroise Vollard, Paris (?) - Bernheim-Jeune, Paris, circa 1918 - César de Hauke, Paris - Percy Moore Turner, Londres - Grenville L. Winthrop, New York par Martin Birnbaum, 1928 - Grenville L. Winthrop - Cambridge, Fogg Art Museum, 1943 (Don Grenville L. Winthrop ). Paris, galerie Georges Petit, 1924, n) 129 - Calmbridge, Fogg Art Museum, 1968, Degas Monotypes, n° 2 - Cambridge, Fogg Art Museum, 1969, n° 118 (repr.) - Lyon, Londres, 2003-2004, A Private Passion, n° 25 - Cambridge, Arthur M. Sackler Museum, 2005, Degas at Harvard, n° 29, fig. 20 (repr.). Vollard, Quatre-vingt-dix huit reproductions signées par Degas, 1914, pl.50 - Lafond, 1919, I, p. 42 - Lemoisne, 1946-1949, II, n° 448, repr. p. - Browse, , n° 50 - Janis, Burlington Magazine, 1967, CIX, fig. 43 - Janis, Burlington Magazine, 1967, CIX, 1967, p. 72 - Boggs, Burlington Magazine, juillet 1968, vol. 110, n° 784? p. 429-430 - Janis, Degas Monotypes, 1968, n° 2 - Gillerman, Cat. exp. Fogg Art Museum, Cambridge, 1969, n° 118 (repr.) - Desantis, Fletcher, Burlington Magazine, avril 1989, vol. 131, fig. 3 - Boggs, Maheux, Degas Pastels, 1992, p. 50-51 - Saywell, Harvard University Art Museums Bulletin, 1998, vol. VI, n° 2, p. 30-35 - Pomarède, La collection Winthrop, L'Estampille, avril 2003, n° 379, p. 34-35 - Wolohojian, Cat. exp. A Private Passion, Metropolitan Museum, New York, 2003, n° 25 (repr.) - Riopelle, Cat. exp. Winthrop Collection, natioanl Gallery, Londres, cat. 25, p. 38 (repr.) - Wolohojian, Cat. exp. musée des Beaux-Arts, Lyon, cat. 25 (repr.) 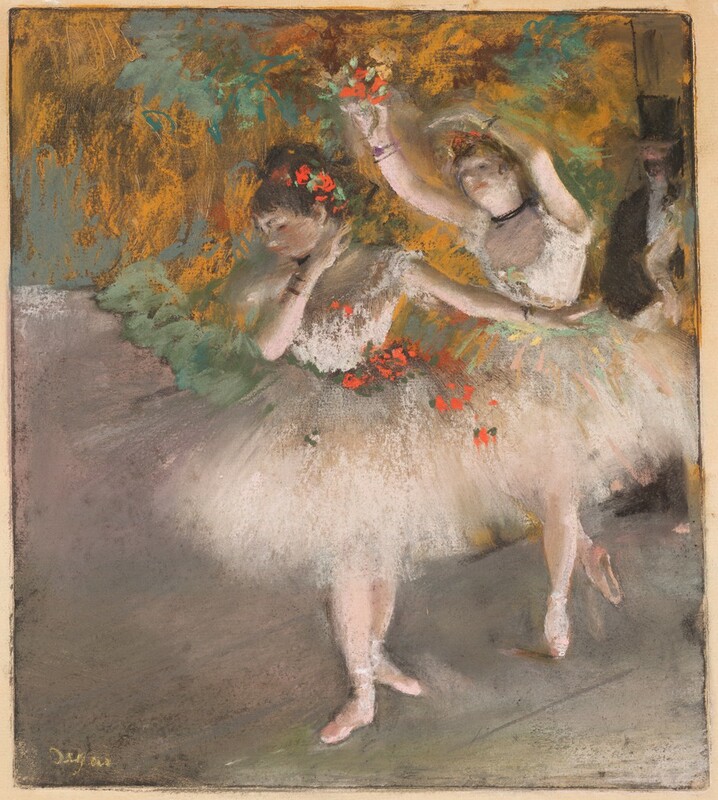 - Wolfe, "Degas' American Dawn", Musuems Boston, printemps-été 200(, vol. 9, n° 1, repr. p. 59 - Cohn, Boggs, Cat. exp. 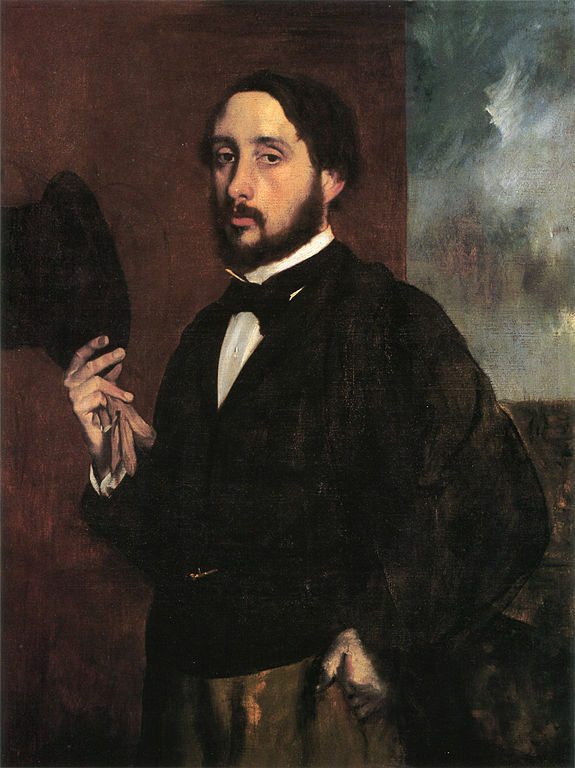 Degas at Harvard, 2005, n° 29, fig . 20 - Lajer-Burcharth, Rudy, Cat. exp. Drawing: The Invention of a Modern Medium, Harvard Art Museums, 2017, p. 188, repr. P; 187.